Binge watching TV is a luxury we don’t always have the time for, but when we do, it’s a beautiful thing. It’s America’s favorite pastime—well that’s actually baseball, but who decided that? Below are some tips on how to engage in this activity properly. Take a look if you want to take your binge-game to the next level. While we call it TV binging, you should know that this is rarely something you do with cable or regular TV. Unless a marathon is on, you’ll have difficulty binge watching only the shows you want to see. Netflix, Amazon, or other streaming services are ideal for this sort of media-based gluttony. Because of that, the first thing you need to binge best is a solid internet connection. If you have interference (slow connection, roommate using the other computer, etc. ), the quality of your binging will suffer. Buffering and low resolution won’t stop a determined binger, but they’ll definitely put a damper on the experience. Since a lot of binging is done through the internet, having a TV with HDMI capabilities can really improve the experience. Binging on a tiny laptop screen pales in comparison to watching it on your home’s TV. Though, to be honest, either one will work just fine. Obligations are what can most often interfere with TV binging. While many of us TV binge to put things off, that’s never the best way. 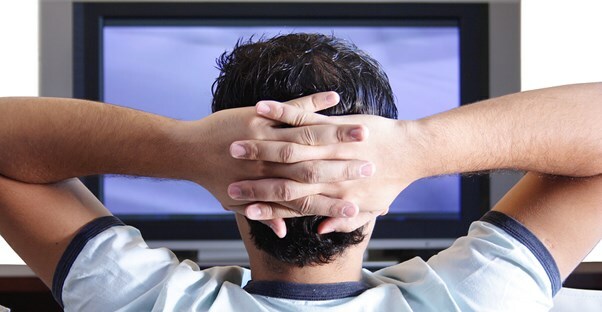 Having a deadline or upcoming appointment can loom in the back of your mind during a TV binge. Anything that keeps your mind in the realm of reality is an enemy to this activity. You should be able to fully immerse yourself in the show you’re watching. Make sure to get all your work done before you start, because if you’re doing it right, you won’t want to stop. If you do need to stop, it should only be to re-fuel. A kitchen full of snacks and sodas can take your binging experience to the ultimate. If you’re really dedicated, you might even consider keeping these things closer to the action. A small cooler and a bag of chips near the couch are tools in the box of only the most dedicated bingers. As a final note, it’s important that your binging doesn’t hurt someone else’s viewing experience. If your roommate hasn’t seen the season finale, you should try to make sure it isn’t playing when he walks in the room. Spoiling shows is the eighth deadly sin as far as fans are concerned, so don’t be that person. So there you have it: how to TV binge the right way. Now all you’ve got to do is clear those appointments and start watching. Those series won’t binge-watch themselves, people.